Remember back in May, when Google announced plans to let people make free phone calls through the Google Home? That feature is rolling out starting today (alas, only for folks in U.S./Canada). Say something like, “OK Google, call the nearest sandwich shop,” and it’ll connect the dots and help you get your grub. Or, if you give Google Home access to your contacts, you can say things like, “OK Google, call my mom,” and it’ll call your mom. 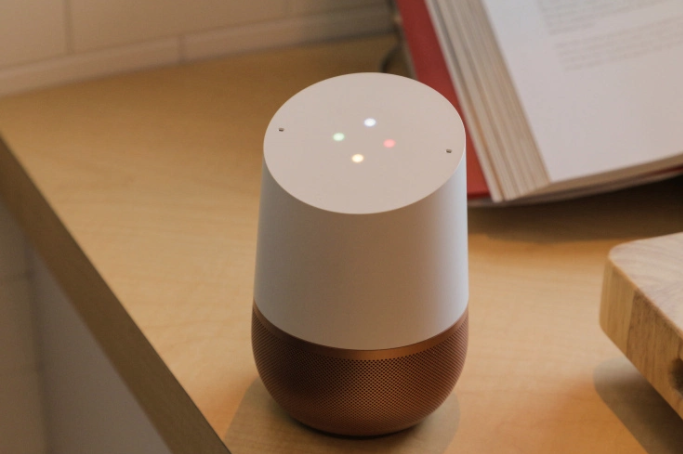 And to get a bit crazy: If you’ve got Google Home set up to recognize different voices, your wife/husband/kids can say, “OK Google, call my mom” — and it should dial up the respectively correct mom. One peculiar catch: For now, calls will come from unknown/private numbers… which, after years of sketchy unknown mystery calls, most people have been trained not to answer. Google says they’re aiming to let you set your personal number as the caller ID by the end of the year — meanwhile, Google Voice/Project Fi users already can. Google says the feature is hitting Homes now, but that it could take up to a week for the feature to roll out to everyone.